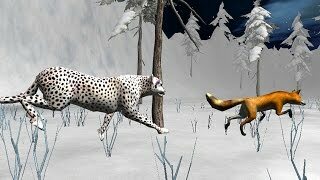 Игра "Wild Cheetah Sim 3D"
Have you ever wondered what it is like to be Wild Cheetah? Now you finally have a chance to know that feeling! Join the battle in this super epic adventure delivered in stunning 3D. Be a Wild Cheetah and survive in the wilderness as long as you can. 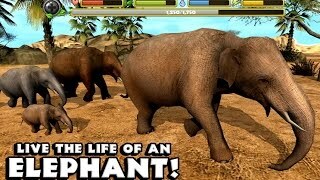 Start your own family of cheetahs, fight against fierce animals like lion, crocodile and rhino. Evolve your Cheetah to become the strongest Cheetah ever.FEATURES:REALISTIC SIMULATORMaintain your health and energy by eating and drinking water, raise your family, explore massive world, fight other animals to become more powerfulSTART YOUR FAMILYWild Cheetah Sim features the ability to have real family. Family members are not only good companions but they can be trained to fight along side in combatREAL DAY AND NIGHTWild Cheetah Sim has a real in-game cycle of day and night on a 24 hour based time system. For every 24 minutes that the game is played, a full day and night cycle of 24 hours passes in the gameACHIEVEMENTSThe game features achievement system. Unlock the achievements by hunting specific animals and discover amazing facts about Cheetah.ADDITIONAL FEATURES- RPG-style gameplay: level up, evolve, complete quests- Different options of appearance for cheetah- Information tab in game menu to view characteristics of animals - Rotatable camera, zoom in and out- Realistic environments, big world- A lot of real animals to hunt- Quest system, 20 missions to complete- Awesome 3D graphicsFollow us on Facebook:https://www.facebook.com/turborocketgamesFollow us on Twitter:https://twitter.com/TurboRocketGameFollow us in Vkontakte:http://vk.com/turborocketgamesHave fun playing Wild Cheetah Sim!If you have any suggestions or ideas for the game - contact us please:vladimir.duchenchuk@gmail.comWe are getting happier with each of your email message.Please note, that we are no way affiliated with any other animal simulator games developed by other game companies.Thanks! Застрял на одном из уровней. Как пройти "Wild Cheetah Sim 3D"? Как установить APK файл на планшет HTC? Почему "Wild Cheetah Sim 3D" не устанавливается? Скачал, но приложение не запускается, вылетает с ошибкой. Мой планшет работает на андроиде версии 5.0 Lollipop, смогу ли я установить "Wild Cheetah Sim 3D" на карту памяти? Как установить версию "Wild Cheetah Sim 3D" для ПК с Windows? Это обзор игры Cheetah Simulator. Cheetah Simulator представляет из себя симулятор от разработчика Gluten Free Games. .Enter into the wild savanna and live the life of a Cheetah! Explore a vast grassy plain filled with ferocious animals of all shapes and sizes. Raise a family, hunt down food, and battle for your life against fierce predators like hyenas, crocodiles, and lions! Download the Cheetah Simulator today while it's 50% OFF for a very limited time! + REALISTIC SIMULATOR - You'll need to maintain your health, hunger, thirst and energy if you're going to survive in the hostile plains of the African savanna! + BLAZING SPEED - Race your way through the vast world at blurring speeds that will leave your enemies in the dust! + EPIC BATTLES - Use your razor sharp claws, swift speed, and deadly pounce to hunt down tasty snacks and fight dangerous exotic animals like elephants and lions! + START A CHEETAH PACK - Find a mate to bond with and raise your very own family of cheetahs! Watch your cubs grow in size and strength as they help you battle your enemies! + LEVEL UP YOUR CHEETAH - Gain experience by defeating and devouring enemies and level up your cheetahs to increase their health, attack damage, and even unlock new abilities! + CHEETAH SURVIVAL GUIDE - Look to your handy survival guide for information on enemy wildlife, a map of the savanna, cheetah customizations, and much more! + HUGE 3D ENVIRONMENT - Your cheetah is free to roam a massive open-world environment that is more the double the size of the previous simulators! + NEW TOUCH-BASED CONTROLS - Brand new intuitive controls let you navigate your animal like never before! Pinch to zoom and play from your cheetah's perspective or get a bird's eye view of the action! 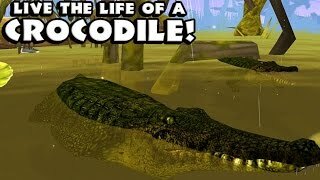 + 20 UNIQUE AFRICAN SPECIES - Behold the largest collection of animals ever put into a single simulator! Hunt down elephants, hippopotamus, wild boars, gazelle, zebras, pythons, camels, bats, rhinoceros, and many more! + HD GRAPHICS - Stunning High Definition graphics will transport you to a remote grassland ecosystem and surround you with nature's beauty! New Graphics Quality options allow you to customize the game to look amazing and perform great on any device! Оценка 4,1 из 5 на основании 1531 голосов. 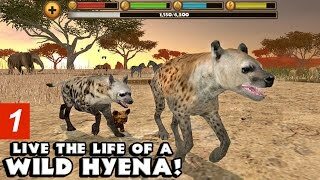 Wild Cheetah Sim 3D - единственная игра разработчика Turbo Rocket Games, как только появятся новые, они обязательно появятся в нашем каталоге.